Following my marriage to Thomas Parry Field, a Senior Lieutenant in the US Navy serving in the Pacific theatre during WW11, I moved to the United States. Tom joined the Faculty of Geography at the University of Kentucky. 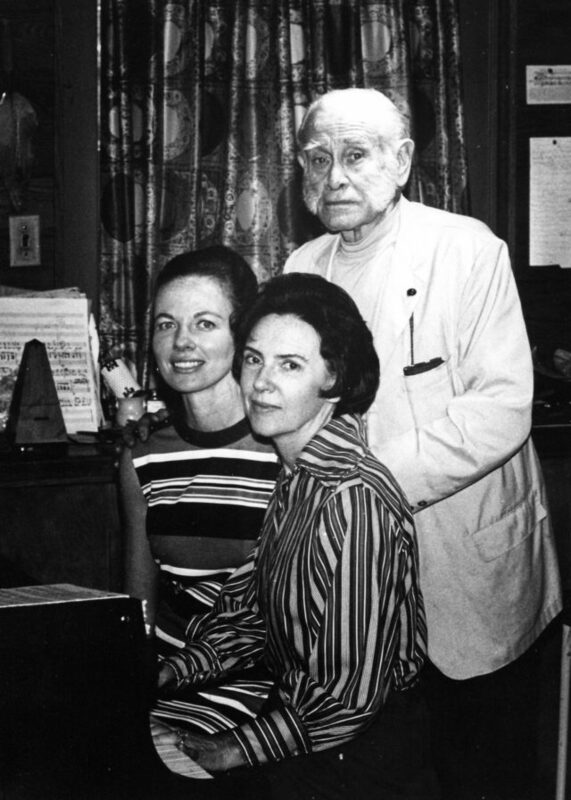 We had two children, Julia and Gwen, and I taught piano privately for 40 years. For 17 of those years I was the accompanist in the entourage of John Jacob Niles, the famous Kentucky composer and folk singer. That was probably the highlight of my career. Up until 1970 I had only heard two of his songs. It was during my first visit back to WA in 1956, at the old Capitol Theatre, in a recital by African-American soprano Mattiwilda Dobbs. They were I Wonder as I Wander and Go Away From My Window. The songs made an indelible impression on me; so simple, sweet, full of wonder and spice. Jacqueline Roberts, Johnny's soprano, and I travelled over many States with him and his elegant, witty, beautifully-educated, Russian-born wife Rena, who was his manager. It still makes my heart beat faster when I think back to those exciting times. There were wonderful rehearsals at their home on Boot Hill farm in Clark County, Kentucky, often twice a week. The drive out there was so beautifully wooded and green, ending in a deep river valley, and there would be Johnny and Rena waiting for us and Johnny rushing us into the living-room with its gorgeous Steinway exclaiming, "I want to hear this song." We would work for two or three hours at which point Rena would walk in with a tray of, maybe, Bloody Marys and announce that lunch was nearly ready. Following Johnny's death in 1980, Jackie and I performed continuously for seven more years. These days I am active in my church, woman's club, belong to an international group helping women achieve their academic goals, volunteer piano playing, and have many friends. 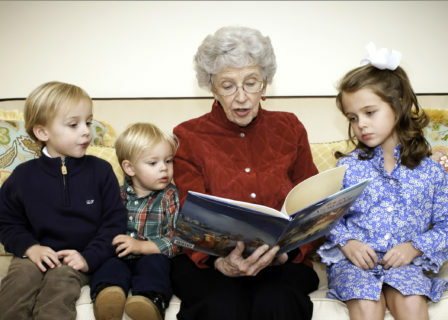 Special joys are my three great-grandchildren. In 2008 I published a book In My Father's Words, based on my Father's World War I diaries. There is nothing to replace the confidence that a good education gives you. If you are lucky enough, on top of that, to have some really close friends in your family and school, you have the wherewithal to take on the world. On MLC: On my 15th birthday, when I thought everyone but my parents had forgotten me, I wandered into the living room at home to find it packed with MLC girls for a surprise party!